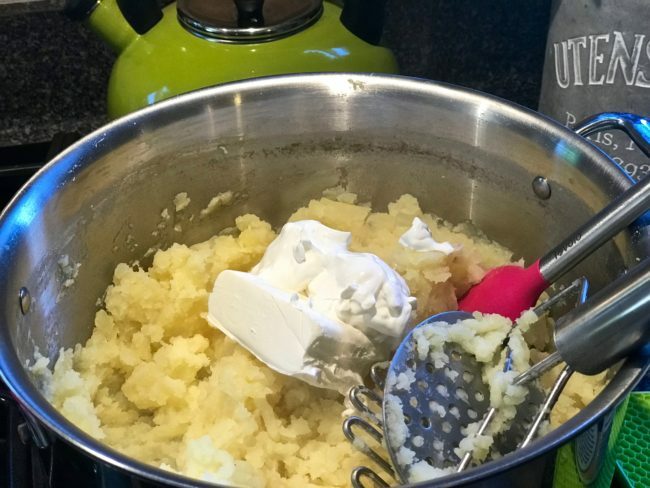 Here at the Casa de MaiTaiTom & Tracy, there is only one mashed potato recipe that we serve at every Thanksgiving meal, Tom’s Mom’s Mashed Potatoes. 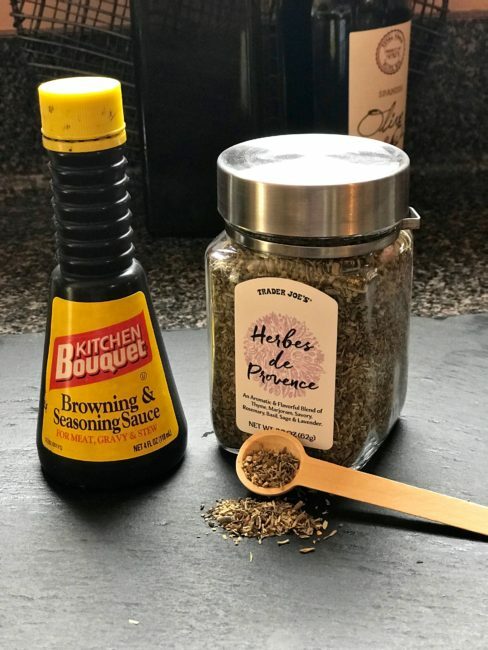 I love these so much because they are creamy and delicious and best of all, are made the night before so that you can cross one more item off your Thanksgiving ‘To Do List.’ Just bring to room temperature, fluff with a fork, and pop in the oven or microwave to reheat just before serving. Tom’s mom used White Rose potatoes, but we prefer Yukon Golds. I usually make these with low-fat sour cream, light cream cheese and I Can’t Believe Its Not Butter, but for Thanksgiving, we go all in with the real stuff. We like our potatoes rustic (slightly lumpy). 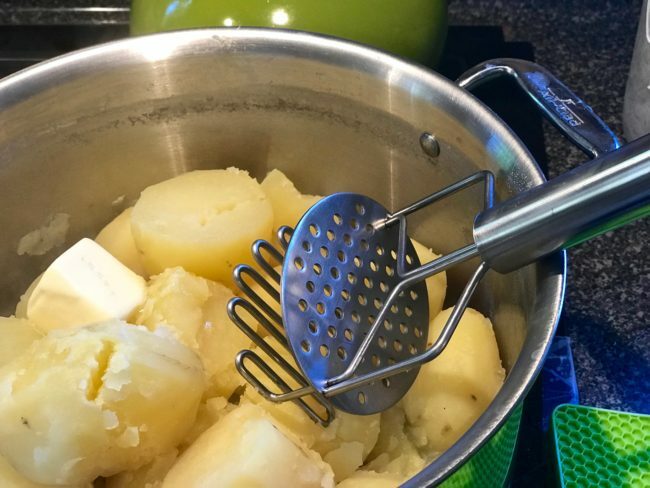 If you prefer smooth mashed potatoes, use a ricer. Add the butter and mix into the potatoes until melted before adding the sour cream and cream cheese. According to Cook’s Illustrated, “when the butter goes in before the dairy, the result is a silkier, creamier, smoother texture than when the dairy goes in first.” I agree. 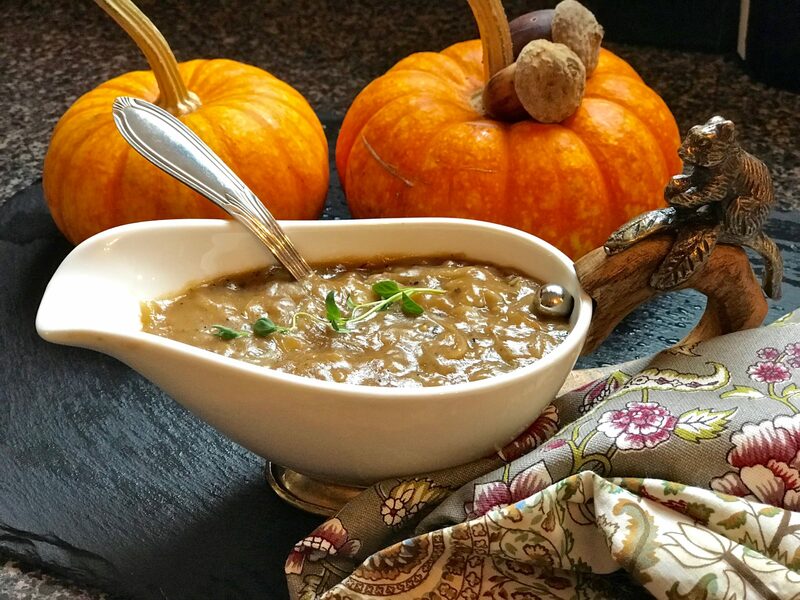 For years, I made Knorr’s Hunter Gravy (a package mix – gasp! and apologies to my Nana because I never learned to make gravy). The first time Tom and I made a turkey, way back in 1991, we were horrified when we pulled that package of parts out of the turkey. My Nana said to use them to make gravy, but we tossed them as soon as we pulled them out. Yuck. A few years ago, I came across a recipe for Caramelized Onion Balsamic Gravy that required making turkey stock from the neck and giblets for the gravy (just like Nana said), but we don’t like turkey gravy, so I changed up the recipe, but it wasn’t quite perfect. Recently, I went searching to see what the Barefoot Contessa had and found she has a similar method that uses chicken broth and cognac (or brandy) instead of turkey stock and balsamic. 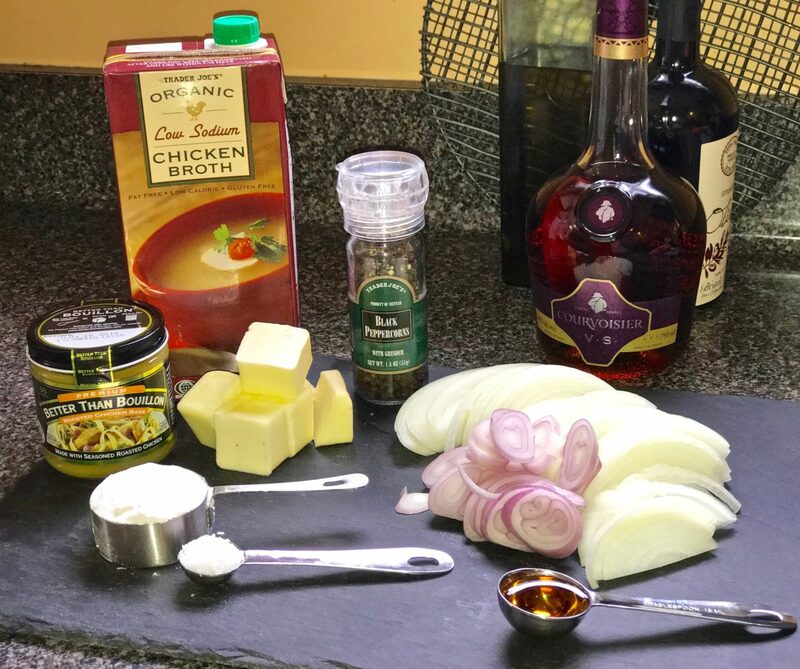 If you don’t have time to make your own broth (that would be me), add Better Than Bouillon to the chicken broth to pump up the flavor. 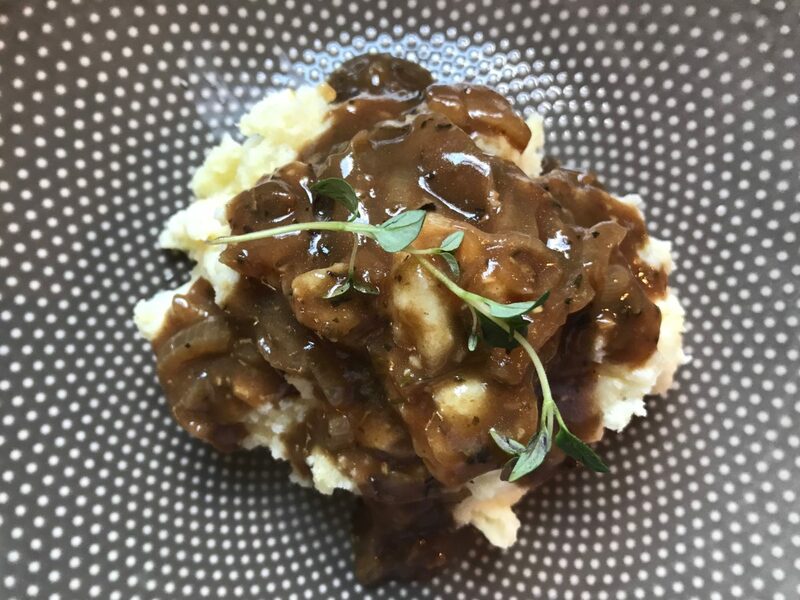 I also add a touch of Kitchen Bouquet to obtain a darker color gravy, which looks more flavorful to me. 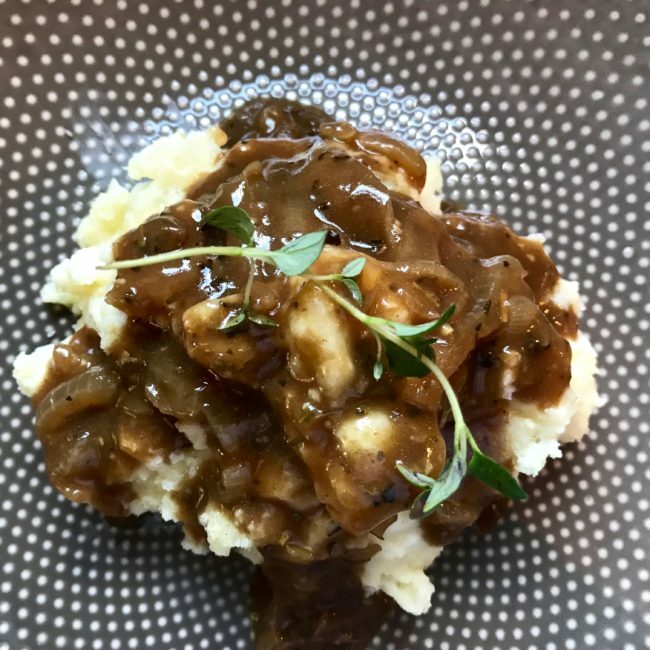 We love this gravy. Bonus! It is made ahead so bring it up to room temperature and reheat on the stovetop just before serving. 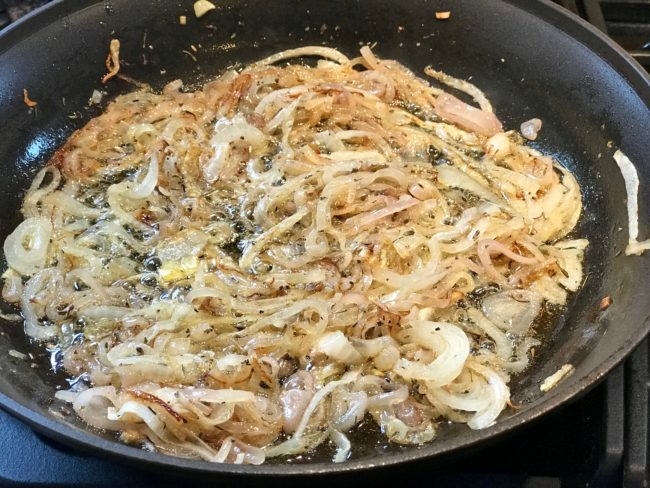 Ina uses a yellow onion in her recipe, while I prefer a combination of sweet onions and shallots. A Walla Walla, Maui or Vidalia onion if I can find it; otherwise, a yellow or brown would work. 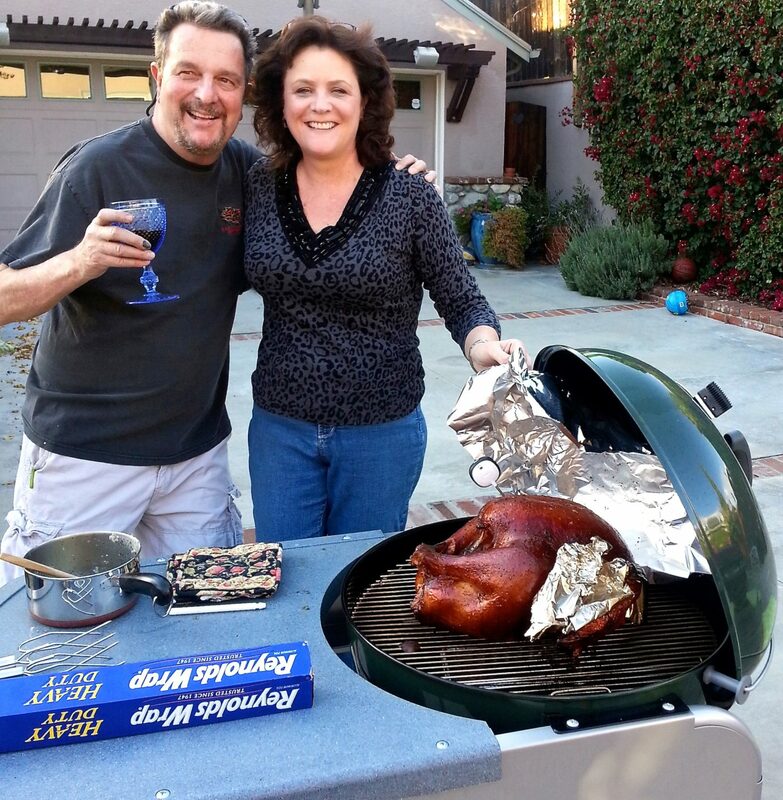 One other tradition we have (and we do this to free up the oven) is we BBQ our turkey. Every year this is a drama/trauma. Tom buys the biggest fresh turkey that will BARELY fit into a Weber Kettle BBQ (about 22-24 lbs.). We put that baby on about 1 p.m. and shut the lid. Tom stares in disbelief as the temperature PLUMMETS EVERY SINGLE TIME and then I have to YELL at him NOT TO OPEN THE LID to put on more coals. He dances about freaking out that the turkey will NEVER, EVER BE READY. 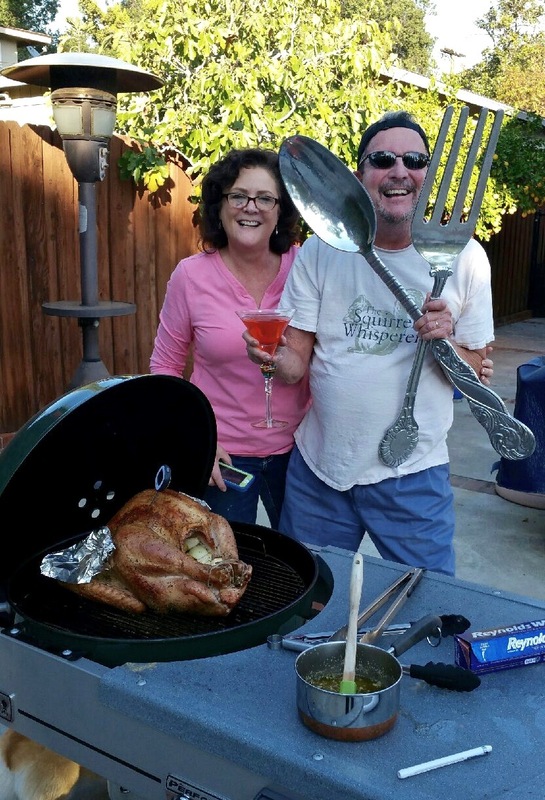 We have been BBQing the turkey since 2002, and amazingly, no matter what size the turkey is, it is always ready in two and one-half hours. The last couple of years, I have assigned our friend, Jack, to keep watch over the BBQ and prevent Tom from opening the lid too often and letting the heat escape. So there you go – two make-ahead recipes for your Thanksgiving menu. Hopefully, you will enjoy them as much as we do and they will become family favorites year round. Peel potatoes. Cut the larger potatoes in half so all the potatoes are about equal size. Add to a large pot and cover with cold water by an inch. Bring water to a boil and cook until done (about 15-20 minutes after the water comes to a boil; stick a fork in them, and if they fall apart they are ready). Drain. Put the potatoes back into the pot and mash or rice until smooth. Add the butter and stir into potatoes until completely melted. Mix in the cream cheese and sour cream. Salt and white pepper to taste (this is Tom’s favorite part – tasting!). I use a lot of white pepper. Spread in a flat casserole dish and cover with foil. Refrigerate overnight. Remove foil and bring to room temperature. Preheat oven to 325°F. Fluff potatoes with fork and bake for a ½ hour or until heated through. Or, just pop them in a microwave until heated through – my preferred method. Heat chicken broth in a small saucepan, stir in the Better Than Bouillon until dissolved. In a large sauté pan, melt butter over medium heat. Add sliced onion and shallot; sauté 10 minutes. Add herbs de Provence, a couple of grinds of black pepper, 1 t. Kosher salt and sauté until onions are golden, about 10 more minutes. Sprinkle flour over onions, incorporate well, and stir for about 3 minutes to lessen the flour flavor. Carefully pour in the hot chicken broth. Stir in the Kitchen Bouquet and cognac. Boil uncovered until gravy thickens, stirring often, about 4-5 minutes. Season to taste with salt and coarse ground black pepper. If making ahead, bring to room temperature and reheat when ready to serve; thin with pan juices and chicken broth if necessary. Yields 3 cups. Recipe adapted from Barefoot Contessa Family Style.